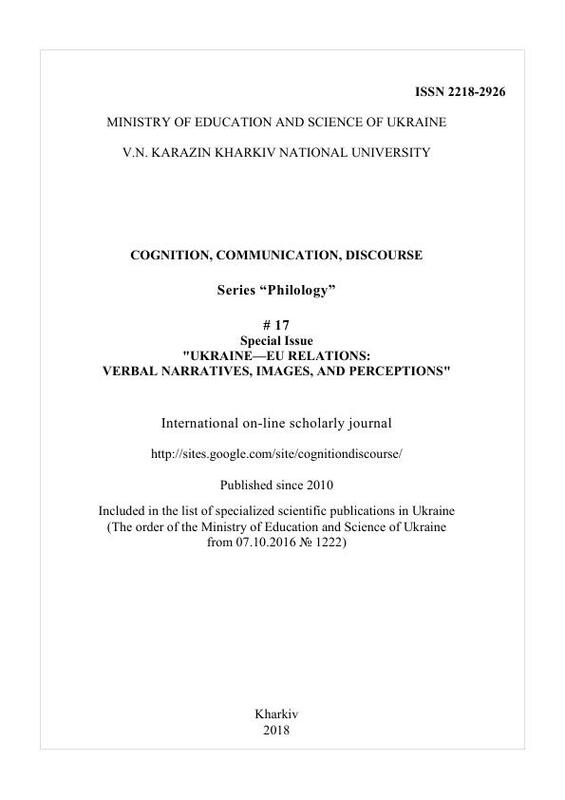 No 17 (2018): Special Issue "UKRAINE-EU RELATIONS: VERBAL NARRATIVES, IMAGES, AND PERCEPTIONS"
The articles in this journal cover essential problems of philology and translation studies. On the material of English, Ukrainian and other languages, linguists – PhD, professors from different cities of Ukraine and Armenia consider important issues of cognitive science and ethnopsycholinguistics; discourse analysis; structure and semantics of narrative in the fairy tale; linguocultural studies. For linguists, teachers, graduate students and undergraduates. Political images and perceptions at the interdisciplinary crossdoards. Introduction to the Special Issue "Ukraine-EU Relations: Verbal Narratives, Images, and Perceptions"